Serial killer Gesche Gottfried was the last person in Bremen to be publicly executed. Gesche Margarethe Gottfried and twin brother, Johann Timm Junior was born on March 6, 1785, to a low-income family. Gesche parents, Johann Timm and Gesche Margarethe Timm named her Gesche Margarethe Timm at birth and showed more love and a preference to her brother Johann. It is believed that Gesche became a killer as a result of emotional deprivation and her suffering from Munchausen syndrome by proxy, but it is still unclear to what the exact reason is. She was convicted of murdering fifteen people with arsenic poisoning in Bremen and Hanover, Germany from 1813 to 1827. Gesche"s first victim was her first husband in 1813 and then her mother, daughters, and father in 1815. Gesche gained sympathy from the residents of Bremen before anyone suspected her of murdering her family and before she was convicted of the killings. They felt sympathy for her because several of her family members fell sick and she nursed them while they were sick. 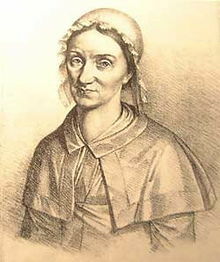 Gesche was seen as a model citizen where many liked her and recognized her for taking good care of her ill family members. Gesche was known to the residents of Bremen as the "Angel of Bremen" before her murders were discovered. Gesche used rat poison named, "mouse butter" which was extremely common during that period. Mouse butter was made with small amounts of arsenic flakes mixed with animal fat. Gesche put small doses of the arsenic mixture in her victim"s food which led them to fall sick and eventually dying while Gesche takes care of them and feeds them more poison/mouse butter. October 1, 1813: Johann Miltenberg was her first husband. May 2, 1815: Gesche Margarethe Timm was her mother. May 10, 1815: Johanna Gottfried was her daughter. 18 May 1815: Adelheid Gottfried was her daughter. June 28, 1815: Johann Timm was her father. September 22, 1815: Heinrich Gottfried was her son. June 1, 1816: Johann Timm was her brother. July 5, 1817: Michael Christoph Gottfried was her second husband. June 1, 1823: Paul Thomas Zimmermann was her fiance. March 21, 1825: Anna Lucia Meyerholz was her music teacher and friend. December 5, 1825: Johann Moses was her neighbor, advisor, and friend. December 22, 1826: Wilhelmine Rumpff was her landlady. May 13, 1827: Elise Schmidt was her maid/friend, Beta Schmidt daughter. May 15, 1827: Beta Schmidt was her friend and maid. July 24, 1827: Friedrich Kleine was her friend and creditor that she murdered in Hanover. Johann Christoph Rumpff became suspicious of Gesche after she gave him food with small white granules on it. Johann would have been Gesche"s twelfth victim if he did not take notice of his food. Johann told his physician, Dr. Luce, who had taken care of several of Gesche victims. Dr. Luce had the granule substance tested, and the test showed that the substance was arsenic. He notified the police, but it was not quick enough as Gesche had murdered two more people and had moved to Hannover, where she fed poison to Friedrich Kleine who was gradually dying. Gesche was arrested on the night of her 43rd birthday on March 6, 1828, and was sentenced to death by decapitation. Gesche was publicly executed/decapitated on April 21, 1831, and her execution was the last public execution in Bremen. Gesche Gottfried serial killer is a female serial killer. The Angel of Bremen is a female serial killer.